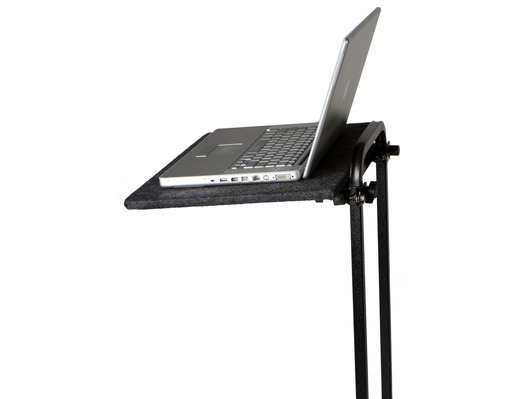 The Rock N Roller Laptop Shelf clamps to the handle of the Rock N Roller Multi-Carts which includes the R2, R6, R8, R10, R12 and RMH models. 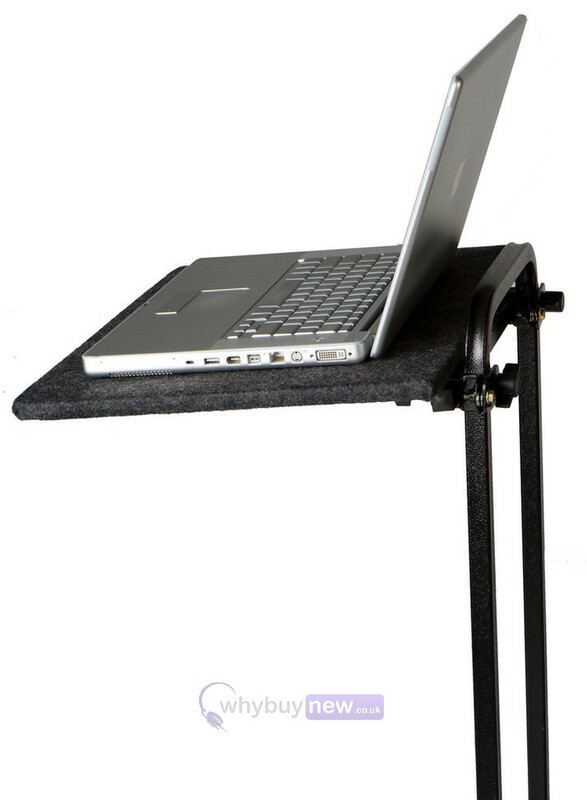 This handy shelf easily clamps to the cart handle in seconds. 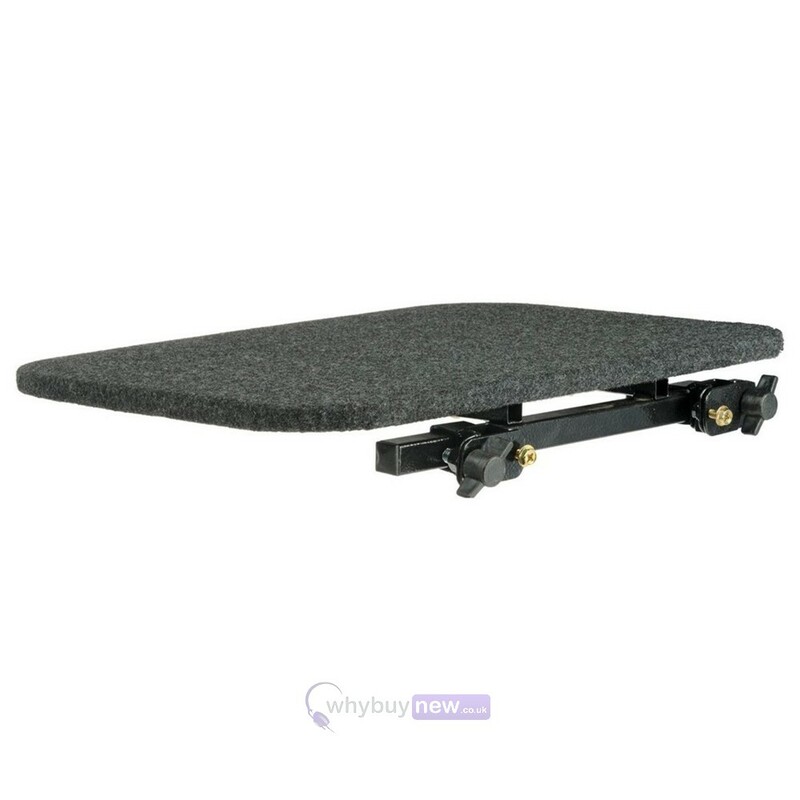 It features adjustable width clamps and a carpeted 1/2" ply shelf with a steel tube support.